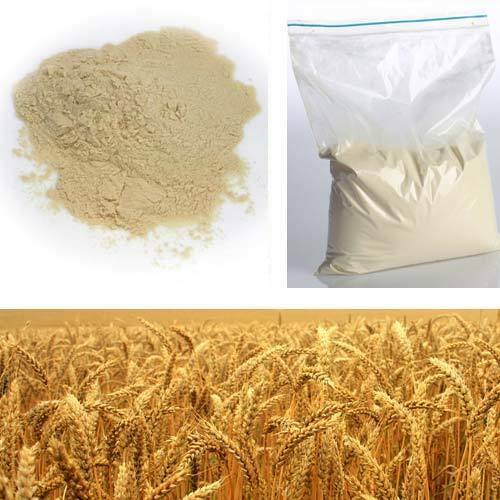 Our range of Dry Malt Extract is appreciated in international market for its various applications. The malt is converted into extract by processes including liquefaction of germinated grain, washing, filtering and evaporation. Optimum quality materials and machineries are used for production of extract. Processing: The malt is grounded in hammer mill and feed into mash tun. There it gets mixed with water under specific time and temperature changes. During the process, some of starch is get converted into ferment sugars by diastatic system involving the action of natural a- and b-amylase. The malt syrups and sweetener flavors are added to the resultant in form of corn grits. Plastic polymer is used for forming malt filter modules along with hollow frame that get separated into two parts by elastic membranes. Finally filtered cloth is used to manufacture dry extract. * Prices will be converted in USD FOB. Appearance A viscous liquid amber or yellowish brown in color. Free from any adulterants, off odor, foreign flavor and impurities. Taste Characteristic Malt and sweet taste free from any detectable foreign or off flavor I.e. not be sharp or bitter or sour tail. Incepted in the year 1981, Imperial Malts Ltd is engaged in manufacturing optimum quality malt products and Barley Products such as barley malt and malt extracts which includes liquid malt extract, powdered malt extract and baked barley malt. Prepared form finest quality raw material, our range of malted barley products, whole grain barley products, barley food products, barley green products, organic malt products and pure malt products is widely acclaimed for purity, un-adulteration, hygienic finish and safe consumption. Owing to its high quality standards, these malt products is extensively used across breweries, distilleries, confectionery, pharmaceuticals and more. Our state-of-the-art machinery helps us in meeting the growing demands of our clients. This is apparent from our regular growing installation capacity from 2000 MTA for barley malt and 600 MTA for Malt extract at the time of inception to the current production capacity of 36,000 MTA barley malt and 10,000 MTA of malt extract. In the year 2002 we were certified by ISO 9001:2000. The regular research and testing facilities also assist us to meet the exact product demands of our clients.